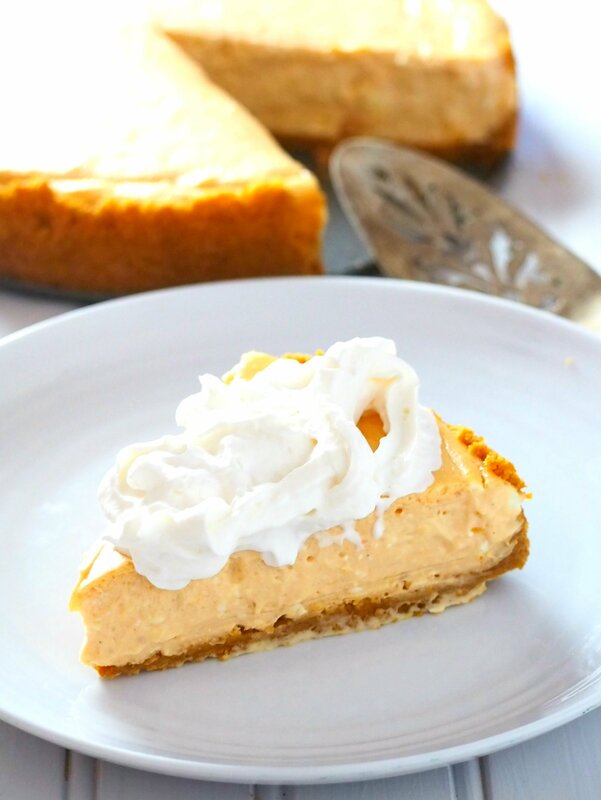 This Pumpkin Cheesecake is a simple recipe that produces a lightly indulgent cheesecake. 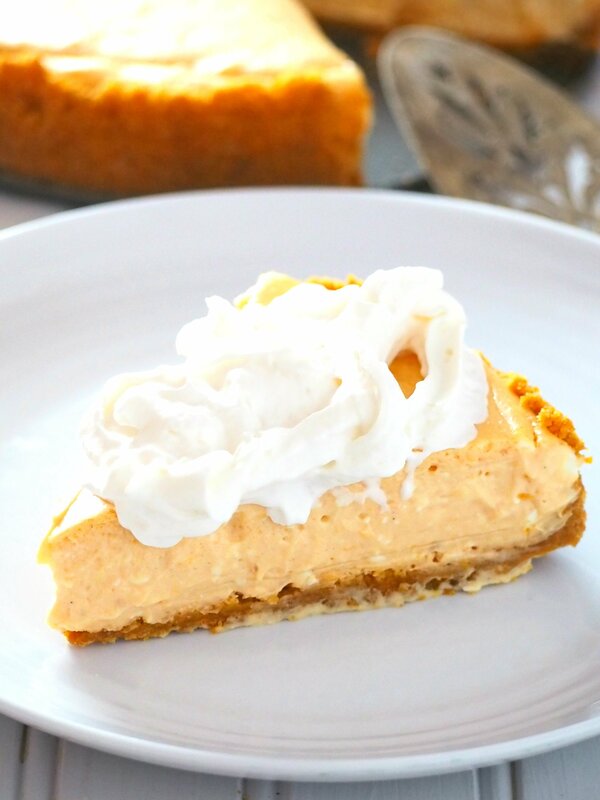 It has just the right amount of pumpkin flavor that blends beautifully with the rich cream cheese. 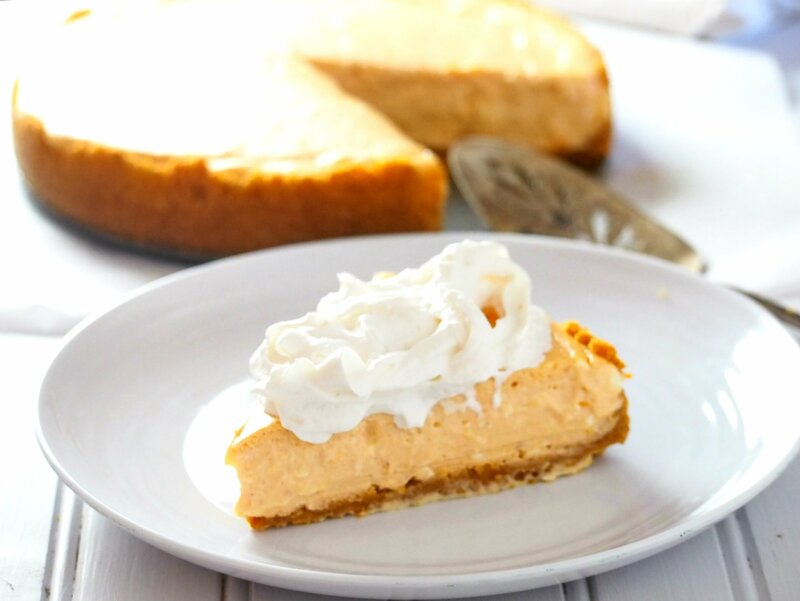 With this pumpkin cheesecake, you can enjoy your pumpkin pie that has taken up a notch of richness with the addition of cream cheese. This cheesecake is not overwhelmingly rich, it is just appropriately indulgent with just the right amount of pumpkin flavor. It is also an easy assembly. 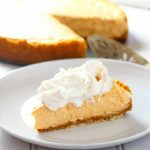 With the simple crust made of graham crumbs and the filling made of pumpkin puree along with eggs, sugar and cream cheese, this dessert can be done without all the fuss. Stir together the melted butter, sugar and graham crumbs using a fork just until it is crumbly and moist without it turning into a mushy paste. Use the base of a mug or a measuring cup to press the crumbs flat against the bottom and sides of the pan. 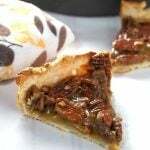 To make the pumpkin filling, you simply beat together the pumpkin puree, the softened cream cheese, vanilla extract, sugar and the spices until they are blended. Then add the eggs and beat just until incorporated. Pour the filling into the prepared graham crust and bake for 45 minutes, or until the cheesecake has set. 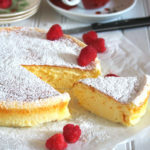 This fabulous dessert couldn’t be any easier. With all the things you want to make this Fall season, this easy pumpkin cheesecake can easily be squeezed into your line up of desserts. 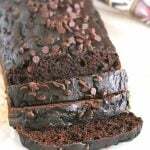 In my mind, I am still dreaming about crinkles, cookies, muffins and bread puddings so stay posted for more. Preheat oven to 350 F. In a medium bowl, combine graham crumbs, melted butter, and 1 tablespoon sugar just until moist and crumbly. Pour mixture into an 8-inch springform pan. 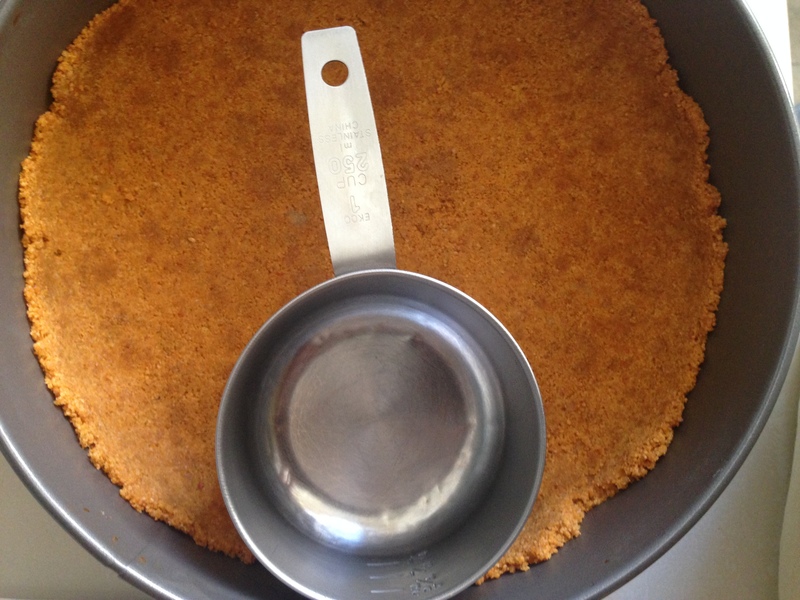 Press the crumbs onto the base of the pan, extending about a couple of inches up the sides. Bake for 7 minutes and set aside. 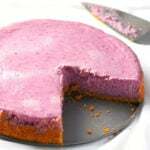 In a large mixing, bowl beat together the cream cheese, sugar, spices, vanilla extract and pumpkin puree. Add the eggs and beat just until incorporated. Pour into prepared crust and bake for 45 minutes or just until set. Cool to room temperature and refrigerate for 3 hours to overnight. Topped with whipped cream to serve.